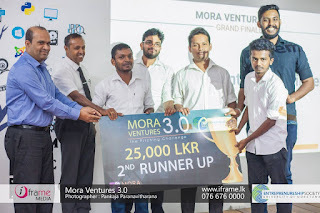 Amidst the university non-academics strikes and country’s then situation with restrictions to social media, Mora Ventures 3.0 was concluded on a very high note on 13th March 2018 as yet another successful project done by Entrepreneurship Society of University of Moratuwa. 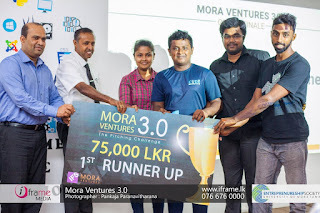 As its previous seasons, Mora Ventures 3.0 also saw more than 50 applications and was structured with entrepreneurial and related workshops and sessions with mini pitches filtering the best out of the best. As a result, 8 teams pitched their products at the finale and the diversity of the teams (which even had foreign representation) made the competition even more exciting and same applied for the panel of judges. 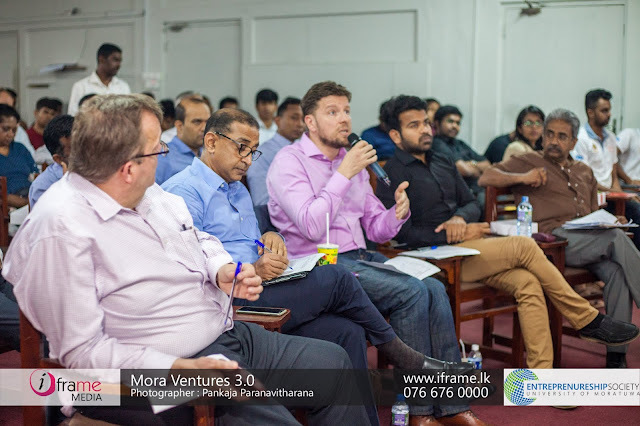 Welcoming everyone, Mr. Heminda Jayaweera, IFS endowed senior fellow in innovation and entrepreneurship at University of Moratuwa thanked the organizing committee for being persistent. Mr. Pubudu Liyanage, HR Director of IFS also thanked University of Moratuwa for consistent partnership in the program and reminisced the previous successful seasons down the line. 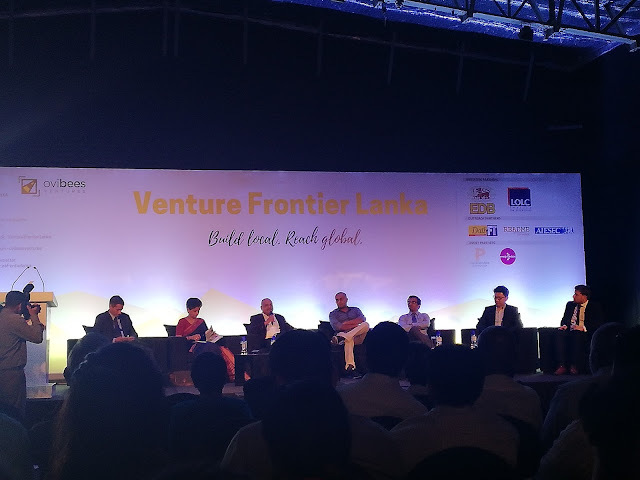 Prof. Kapila Perera, Vice Chancellor of University of Moratuwa addressed the gathering as the Chief Guest encouraging everyone to support the entrepreneurship ecosystem. Then the teams started pitching their products and facing the Q&A session from the judges. First up was Bright Panda, a platform to find career path for A/L students. Then Mora Squad presented Qtie through which all the home electric appliances could be converted to smart devices and control via a mobile app. FarmLi (a Nepalese startup) introduced a solution to monitor and identify livestock diseases, change in behavior and performance and also pregnancy using a neckband integrated with IoT, AI, machine learning and cloud computing. Rational X’s Admob is a platform to advertise on unused spaces of tuks using stickers. !dea Factory’s Price Ur Plastic (all the way from Jaffna!) is a machine which allows a person to dispose an empty used bottle and get a reload to his phone where the bottles will be directed to recyclers. SwimTuor presented a swim suit where the performance of the swimmer will be monitored and measured and relevant stat can be reviewed through a mobile app. Team Logger’s PLUGe helps you to save electricity by allowing to disconnect from the plug itself as it converts it to a smart device. Finally, SA2 Solutions pitched CamCar, a remote controlled camera platform which bridges the gap between drones and traditional dollies allowing professional cameramen to approach better delicate and flexible camera angles for shooting. FarmLi by Echo Innovators emerged as the winners while Qtie by MoraSquad and Price Ur Plastic by !dea Factory became first runner up and second runner up respectively. Judges highlighted that market validation and cash flows require more prominent consideration. 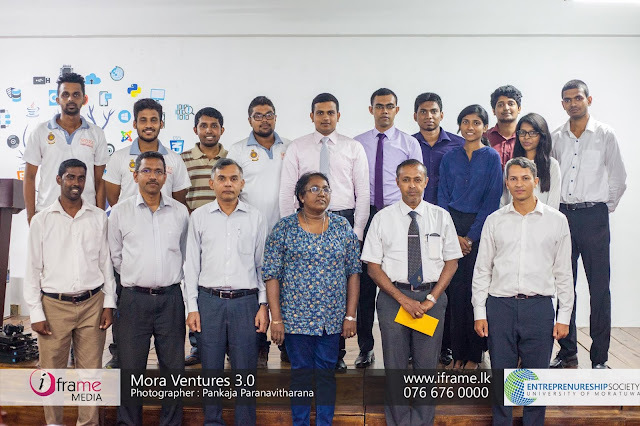 Hybriteq, winners of Mora Ventures 2.0 inspired the audience even more with their success story and Mr. Sudeera Madushanka, President of Entrepreneurship Society delivered the vote of thanks. 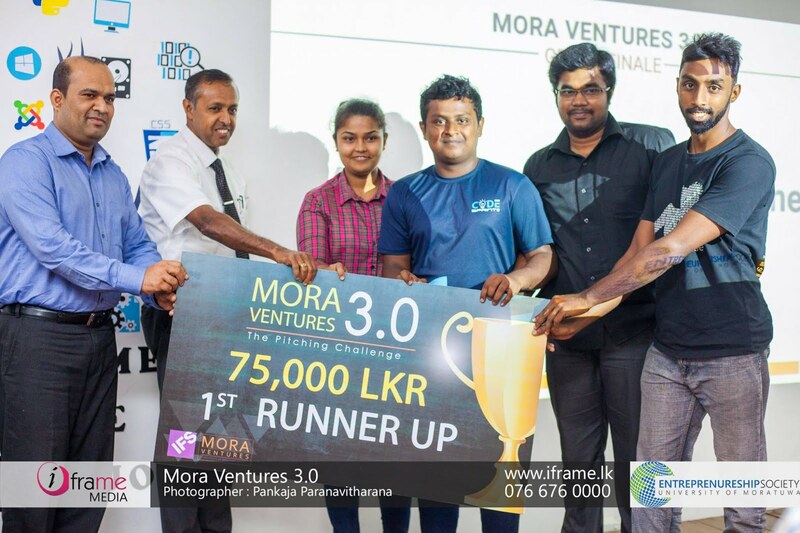 With that, Mora Ventures 3.0 came to an end promising Mora Ventures 4.0 during this year itself. Moreover, the following day was the launch of Venture Frontier Lanka, a platform focused on development of startup life cycles in Sri Lanka inspired by with the tagline, “Build local. Reach global.” It is hoping to create a public-private partnership to form a long term integrated platform in order to identify promising entrepreneurs from the early stage and nourish and provide them with investments while creating jobs. Hence it is clear, that competition like Mora Ventures is helping one way or another to fill the missing elements and encourage the entrepreneurship buzz in Sri Lanka to realize the country as a sustainable innovation hub. 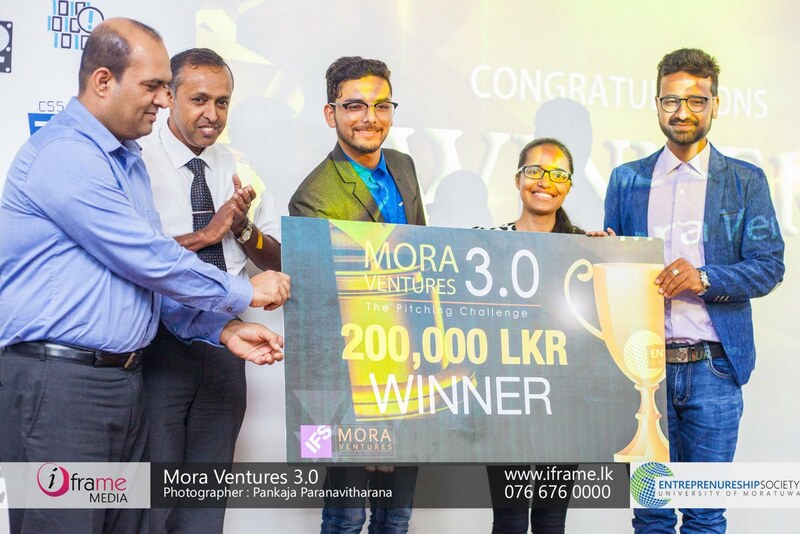 We at Mora Mag wish, best of strength for the Entrepreneurship Society to raise the current 2.8% of entrepreneurial contribution in Sri Lanka with more and more innovative startups to be found.